The future of SETops - a perception issue? A panel consisting of business aviation associations at SETops 2017 agreed the success of single engine turboprops (SETs) depends primarily on the public’s perception of their safety. Murray Law, board member of the British Business and General Aviation (BBGA) association, kicked off the session highlighting the Brazilian market as an example. While there have been no fatalities due to mechanical failure of SET aircraft, there have been 14 owing to pilot error and weather. While the aircraft themselves are safe, improvements must be made in other areas to persuade people to use them, he said. Capt. Nigel Harris, representing BACA and speaking from his experience as a pilot and CEO of Montserrat Airways in the Caribbean - which operates a fleet of Islanders, Twin Otters and Cessna 402s said he would love to see these turbine singles on the Island with their sophisticated big jet avionics. His passengers are mostly high net worth individuals, so when assessing the viability of SETs a big consideration would be whether his customers’ insurance companies would let them fly on these new aircraft. Kyle Martin, Director of Regulatory Affairs for the General Aviation Manufacturers Association (GAMA), which has been working towards SETops for 25 years, said that the issue is that regulations have typically been defined by the perception of safety rather than a data-driven approach to safety. Martin believes the latter is key to proportionate regulations regarding SET aircraft. Murray Law challenged that the regulator has a difficult job matching performance with engines and airframes, but Martin revealed there is precedent for securing certification for operations with new airframe/engine combinations (specifically Pratt & Whitney’s Canada PT6A) from the outset – something which was achieved for ETOPs which he experienced working at Rolls Royce. The key, he suggested, lies in cyclic engine testing on the ground, flight testing and route-proving, but that once in operation, constant feedback to the regulators was necessary. Martin added that electronic flight bag technology with integrated Garmin avionics, for example, will go a long way to improving the safety of SET aircraft in Europe just as it has done in the US, by helping with navigation and weather. 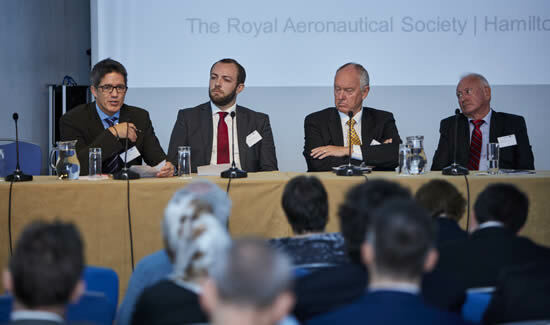 With the discussion turning towards SET aircraft providing a new market for business aviation, Adam Twidell, CEO of PrivateFly, asked what was being done to stop uneducated passengers bypassing AOC-registered aircraft and opting to use the grey charter market and cost-sharing aircraft. Capt Nigel Harris acknowledged this was a glaring problem with single- ngine pistons in the Caribbean. The suggestion that these new turbine engine singles were given ‘gold status’ like the Wyvern or Argus stamp of approval, Murray Law said that the lay public wouldn’t be aware of such endorsements. However, a strong communications campaign moving forward would go a long way on the perception issue of SETops and safety. Brandon Mitchener, CEO of the European Business Aviation Association (EBAA), said the Association is looking at launching a new campaign at the 2018 EBACE event which focuses on a broader definition of business aviation than just ‘private jets.’ Brandon asked delegates to share their stories, which will serve as a good start in terms of changing people’s perceptions. Newly appointed EBAA COO Robert Baltus who has just joined EBAA from NetJets sister company Executive Jet Management and latterly Qatar Executive joined Brandon at this event specifically to learn more about this upcoming sector.